This past week, I was able to attend (and photograph) the wedding of an old friend of mine. I love how happy love makes two people. 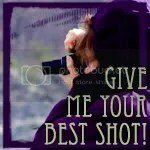 And I love, as a photographer, to be right in the middle of so much new, fresh love so often. 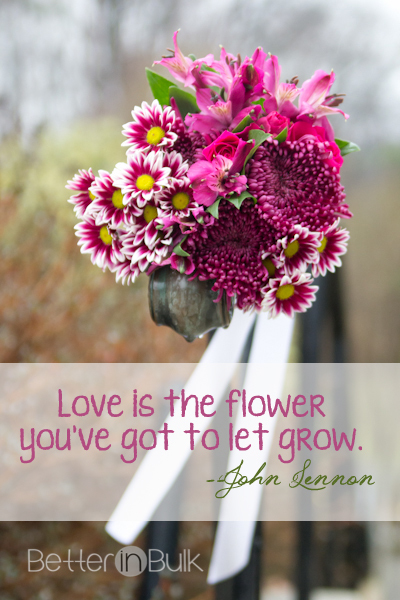 I love this “Love is the flower” quote from John Lennon. I thought it fit just right with the bridal bouquet from my friend’s wedding. Are you excited for Valentine’s Day coming up in a few weeks? Beautiful photo and quote Lolli. The purples are lovely! What a beautiful bouquet! The wedding place is the right place to capture some lovely moments.